These simple quotes speak volumes. 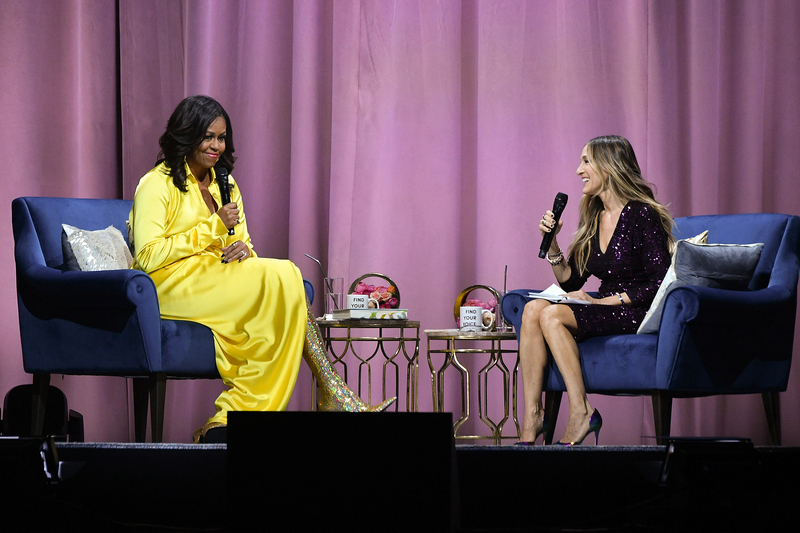 Last night, which happens to have been my fiance’s and my 12th anniversary, I celebrated in one of the best ways I can think of: by watching former First Lady Michelle Obama give a book talk with Sarah Jessica Parker at the Barclays Center in Brooklyn, N.Y. As ever, Obama was wise, thoughtful, reflective, and full of excellent advice. Here are some of her best quotes from the night. Emily is the Deputy Director of Editorial Content at Thrive Global. She joins Thrive after working at Columbia University. Previously, she was a Senior Editor at Cosmopolitan, and held editorial roles at Fit Pregnancy, Natural Health, and the Bauer Teen Group. Her writing has appeared in Cosmopolitan, J-14, Parents, Men's Health, and other publications. A lifelong New Yorker, Emily graduated from Columbia with a BA in English.